Very nice facility! Breakfast included is great! Very clean! Needs a few more choices on menu in the bar/restaurant and children's beverage offerings in the cooler (regular milk!). Otherwise, very nice room and staff very accommodating. The room was very clean and the bed was very comfortable. Very easy to get shuttled to the airport for your flight. The staff was great. I checked in really late at night and they made the experience very pleasant. My room was very clean. Nice TV. I wish that I couldn't hear guests in the hallway. Great location, friendly and customer service orientated staff. Classic Lakefront Home w/ Everything You Need4 Steps to Private Water Access! The “Insurance capital of the world” is what Hartford, Connecticut is partially known for. After all, many insurance companies have set up their headquarters in this vibrant city. Hartford is also where the house of Mark Twain can be found. The literary father of Tom Sawyer and Huckleberry Finn said back in 1868, “Of all the beautiful towns it has been my fortune to see this is the chief.” This quote is what you should bear in mind when visiting this friendly, beautiful city in Connecticut. Downtown Hartford is where the city is most alive. You can experience the hustle and bustle of everyday life in this neighborhood. This might be because Downtown is where the University of Connecticut-Hartford Campus is located. More than that, Downtown Hartford is where the magic happens at night, thanks to entertainment venue XL Center as well as its many bars and restaurants. Hotels near these locations can come in handy. Especially since the over 40 3 star hotels offer comfortable beds to get a great night’s sleep after a night out. 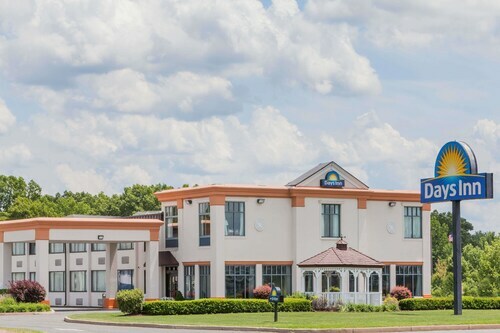 This Hartford area is also where plenty business hotels are. The central position near the Connecticut Science Center and the Connecticut Convention Center are the main reason for conference hotels to locate themselves here. These hotels come with both wired and wireless internet, conference rooms and business centers, but also an on-site restaurant to make meetings even easier. Afterwards, you can walk along the Connecticut River in Riverside Park. A great place to clear your head and great a well-deserved breath of fresh air. Hartford is known by many as the Mark Twain House, which is a site you should not skip during your stay. You can see the works of Samuel Langhorne Clemens, which was Mark Twain’s official name, in his former home. From the Mark Twain House, it is just a short walk to Elizabeth Park. In Elizabeth Park, you get the chance to relax, go for a picnic or simply admire the garden. Staying in this area means you can choose from nearly 100 hotels. When visiting Hartford, shopping is something you will find great pleasure in. The Westfarms Mall in West Hartford, for example, is a fabulous place to buy gifts for those at home and get yourself a brand-new outfit. Hotels near Westfarms Mall are within walking distance which makes dropping off your bags a lot easier. Shopping in a more specific area can be done at Cabela’s. The large retail showroom offers exciting highlights, such as an indoor archery test area and big aquariums. This store is in East Hartford near Hartford-Brainard Airport. 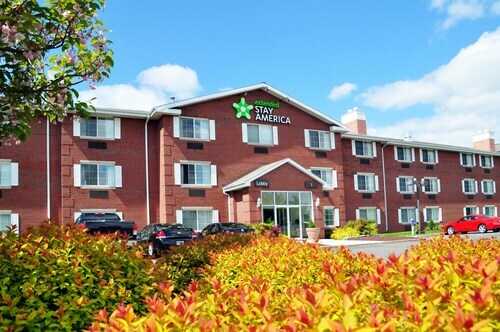 While Hartford has no 5 star hotels, you can make yourself comfortable in one of the two 4 star hotels or the 46 3 star hotels that the city has to offer for its guests. If your trip’s purpose is for business, you will be pleased to find an array of hotels to suit your needs. Not only does Hartford offer nearly 100 business hotels, but it also provides over 50 pet-friendly hotel options. So, there is no problem should you prefer to bring your feline friend with you. These hotels often offer special pet-friendly rooms where your friend can feel entirely at home. Besides Hartford-Brainard Airport, you can fly into Bradley International Airport, which is the main airport for the Hartford region. Prefer to stay in a hotel near the airport? Be sure to make good use out of the free airport shuttle services. Many hotels near this airport offer this amenity.